For most readers and collectors, the local comics shop is a gateway to a larger world of fandom — a place not just to buy the latest issues but a place to find community. 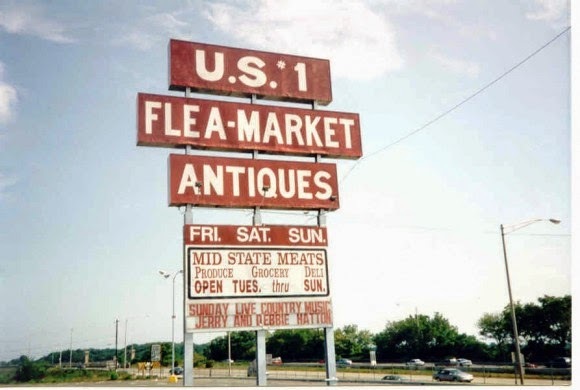 Some of my fondest comics memories, for example, involve weekly visits to the late, lamented US #1 Flea Market in New Brunswick, N.J. There was a full-service comics kiosk there and I’d spend hours just shooting the bull with other like-minded fans. And to this day, I still get a bit of a thrill when I pop into Midtown Comics on Manhattan’s East Side every Wednesday. In any event, podcaster and filmmaker Anthony Desiato of My Comic Shop History has made it his mission to chronicle the ins and outs of shop life — from the perspectives of owners, fans and industry pros. His latest project? 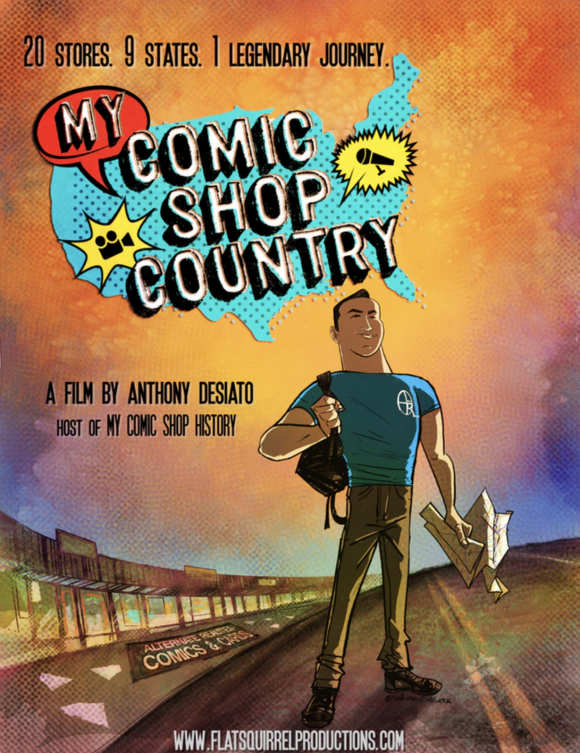 My Comic Shop Country, a full-length documentary he produced via crowdfunding. The film, which clocks in at roughly 1 hour and 45 minutes, is the most intricate look at what it takes to operate a comics shop I’ve ever seen. Anthony traveled across the US, hitting 20 different stores, and the result is a multifaceted look at where the comics industry has been, where it is now — and where it might be going. The movie doesn’t have a distribution deal yet, but in the meantime, keep an eye out at Anthony’s Flat Squirrel Productions for news on that front, as well as any local screenings. I’ve seen the movie and, as a fan, I can tell you it’s most definitely worth your time. — PODCAST ALERT: What Makes a Good SUPERMAN Origin. Click here. — PODCAST ALERT: Grant Morrison’s BATMAN. Click here.